LR-60 is a laser receiver. It is used for detection laser beam of line lasers (in the receiver mode). 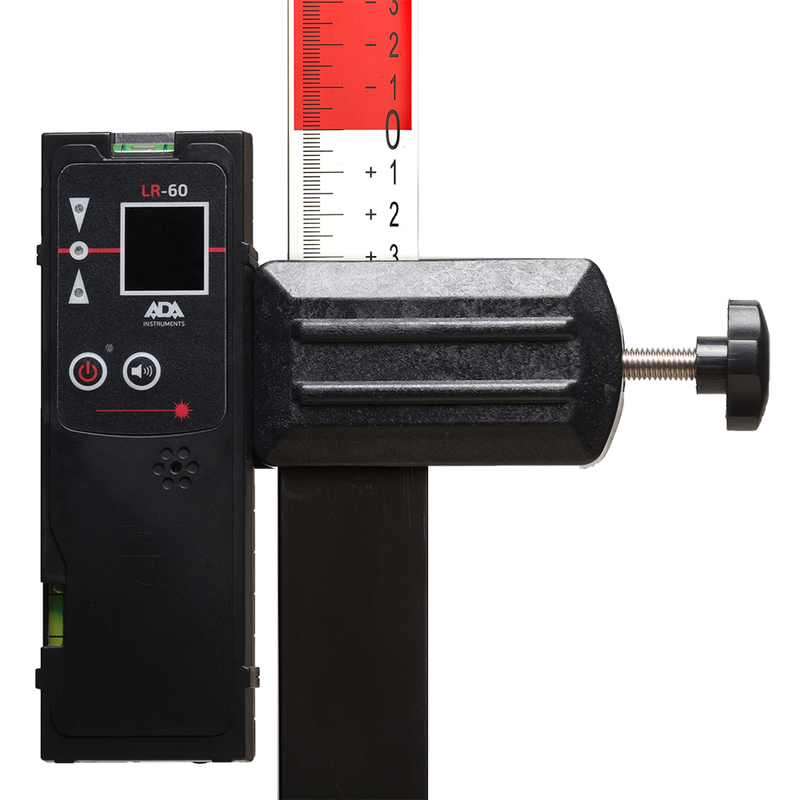 LR-60 extends working range if you work under bright illumination and poor visibility of laser beam. Ideal for any outdoor application. 2 tubular levels for accurate setting in horizontal and vertical plane save your time and make the work easier. LR-60 has acoustic signal and LED indication. It comes with clamp for attachment to the staff and pole.